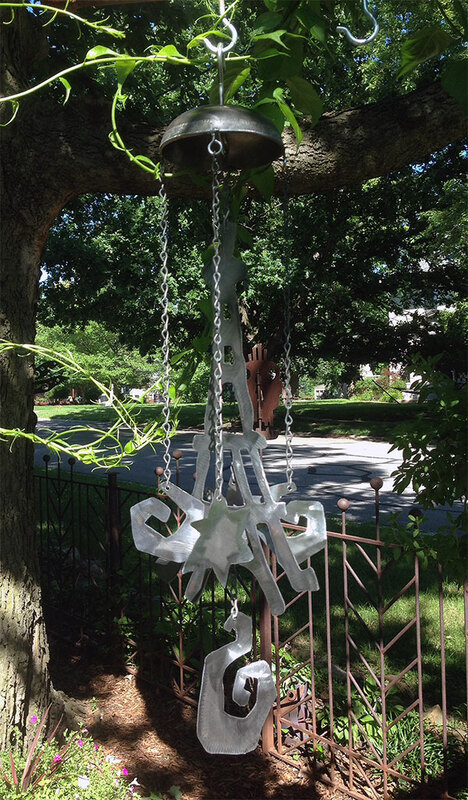 This charming handmade Eiffel Tower wind chime is ready to create some simple sounds in the garden. This sturdy wind chime can hold up to all kinds of wind and weather. A metal stylized outline of the Eiffel Tower is in the center. Funky symbols collide with the Tower, clinging and clanging in the breeze. It is made from steel that has a brushed finish. Outside, nature will paint it a warm rusty brown.